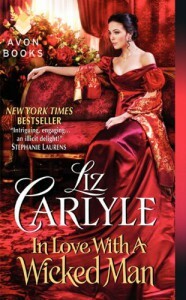 I was really excited to read Liz Carlyle’s newest historical romance, In Love with a Wicked Man. Although I love the premise of the story, I thought some of it was a little bit too fast paced for me. Basically, the story is about redemption with a little bit of amnesia added in the mix. The heroine first meets the hero, Lord Edward Quartermaine when he falls off his horse trying to avoid her horse resulting in a temporary amnesia. Because Kate felt guilty about the situation, she takes in the man and nurses him back to health. Well, sort of, since Edward comes out none the worse for wear, unfortunately he has memory loss. The memory loss lasts for a few days and Edward feels an overwhelming attraction for Kate, Lady d’Allenay. Conflict ensues when Edward finally recovers his memory and Kate’s ex-betrothed come back, pressuring her to tie the knot. Overall, I thought the story was okay. It was interesting but the amnesia wasn’t as realistic as I wanted it to be. I wasn’t also expecting Kate to give herself over to Edward earlier in the story despite not knowing anything about him. 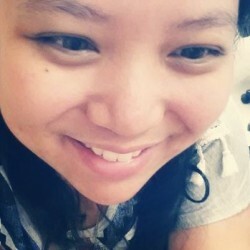 She was also insisting that he was a good man and I definitely do not think that she can have that view when she doesn’t even know him well. Although the mix of characters were very interesting, I was annoyed by Kate’s mother and every time I read a part with her in it, I was tempted to skip it. Kate and Ned were the perfect match. I did enjoy reading about their HEA.